Tableau: grid of 4 x 13. 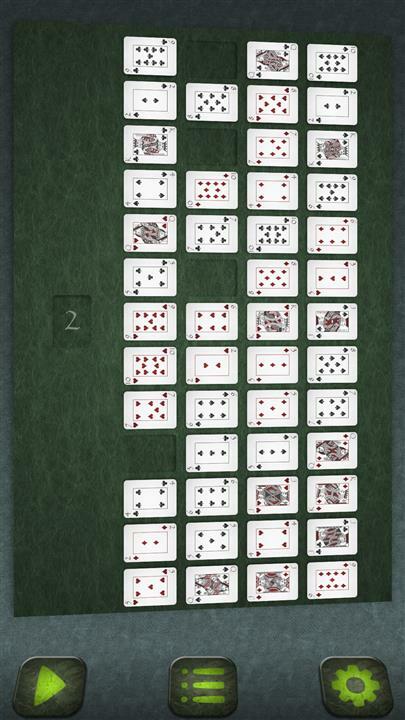 The entire deck of 52 cards is dealt into the grid, and the aces are removed. An empty location must be filled by a card with a rank one higher than the card to the left, and the same suit. The left-most location of each row must be filled by a two. Since no card ranks higher than king, you can not play a card to the right of a king. 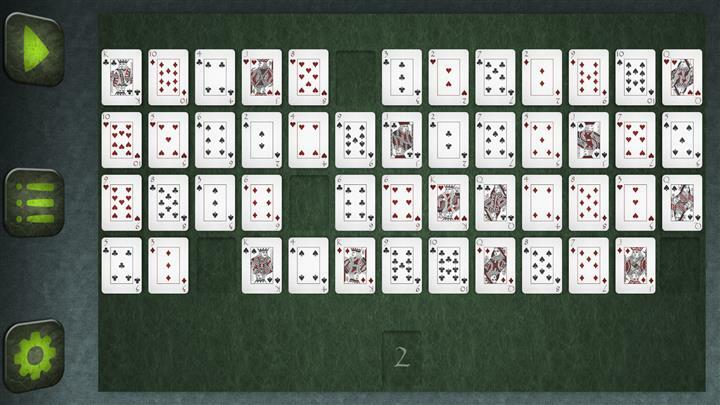 When no more moves are possible, the unsorted cards can be collected, reshuffled, and dealt out again. The aces are also shuffled and dealt, then removed again. You can deal out the cards again like this twice only. After a reshuffle, the four gaps will be in random locations, rather than directly to the right of the current sequences.